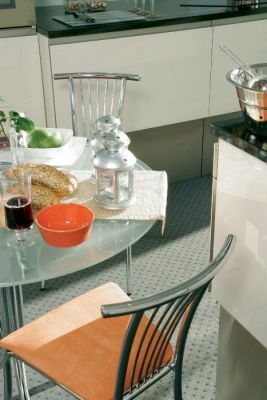 Hard wearing Bistro chairs with a wooden seat and a durable steel frame in a choice of three finishes. High quality with a curved chrome frame, sits perfectly in a modern cafe or home kitchen. 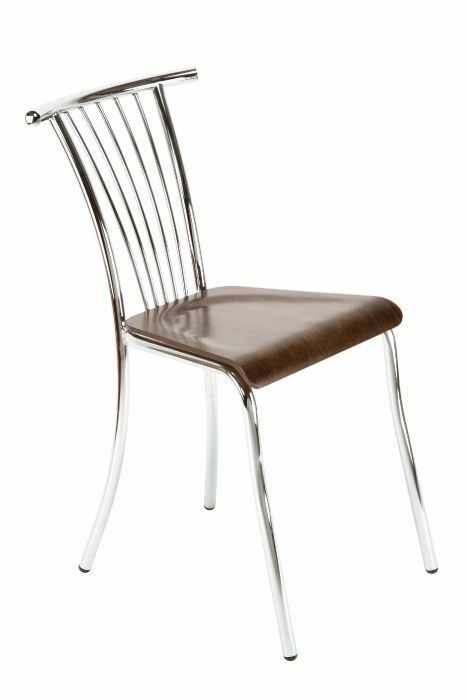 Made to order bistro chair constructed with a robust chrome welded frame. Delivered fully assembled and ready to use. This item is made to order and has an approximate lead time of 3-4 weeks.